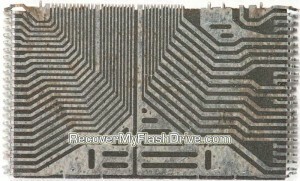 Ever wanted to know what’s inside a flash memory chip? Nothing magical, just regular silicon die but it’s still fun to look at. As far as I know we’re the only data recovery company in the North America outside of law enforcement that will touch this type of work. 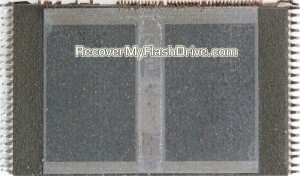 Occasionally customers or data recovery labs will accidentally break pins from the NAND chip. 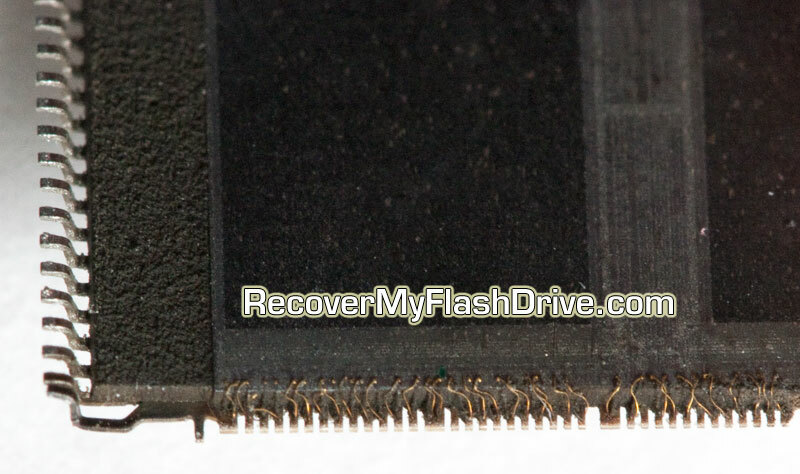 If the pins are not connected it’s not an issue but if they are connected we must remove the top layer of substrate to expose the wire traces beneath. 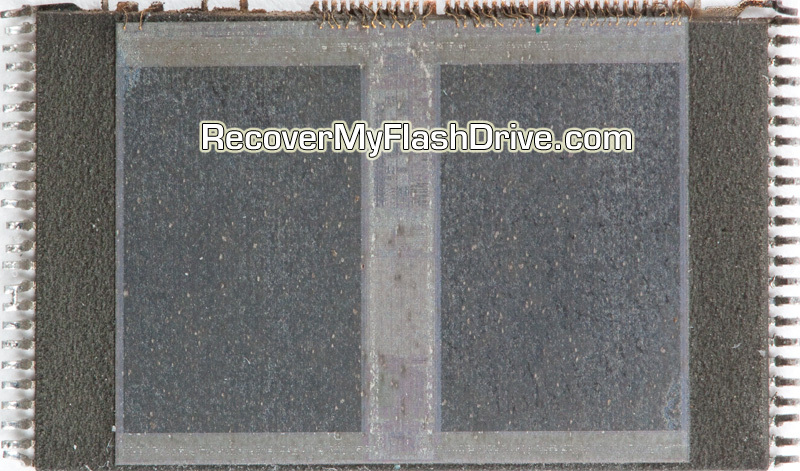 I had a donor 16bit SanDisk NAND chip in the lab and decided to have a little fun. 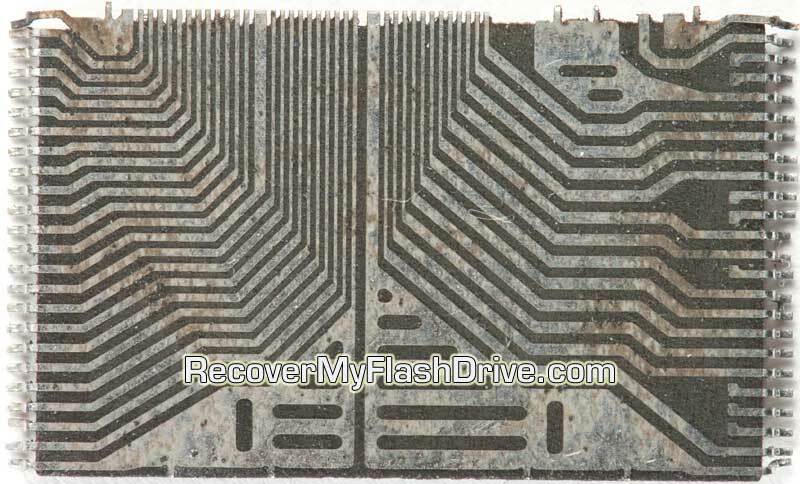 If you click on the pictures you can see the wire traces linking the external pins to the silicon die via wire bonds. If you look even closer you can see two 8bit non-logic cores which are merged in the page/column buffer to create a 16bit chip. 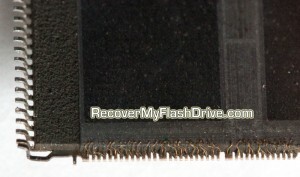 The short traces that don’t wrap around to the silicon die are disconnected pins.